I am completely obsessed with Pinterest. I probably log on to it at least twice a day. I have everything I could want on there- pictures of cute animals, clothes I want to buy, and even layout ideas for an apartment I'll have one day. Everything is organized so nicely too which makes finding articles or pictures very easy to find. 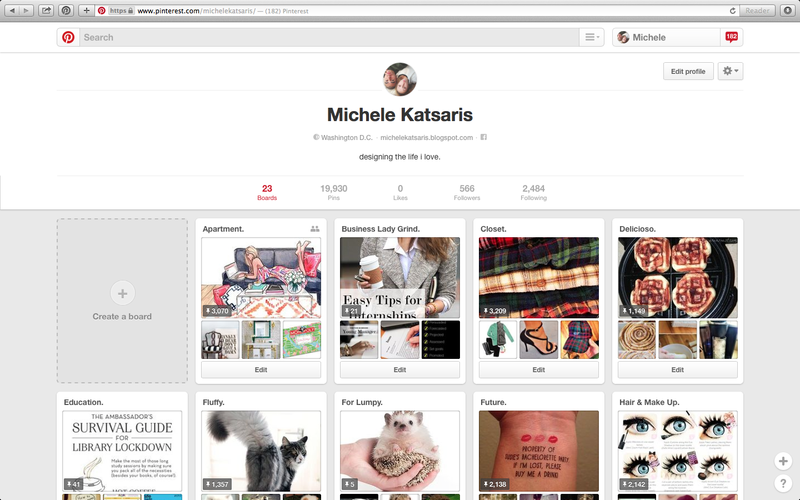 If you haven't signed up for Pinterest yet.. what are you waiting for? Sign up and follow me! Let's share some ideas!